Please see the Closure Dates page for details of the afternoons when we are closed for staff training. Our telephone lines are open Monday to Friday 08:00 – 18:00 with the exception of 13:00 until 14:00 when an emergency service only is available. A recorded message will inform you of the numbers to ring. We offer a selection of early, evening and Saturday appointments, please check our online service, Patient Access, for details. Or contact the surgery. 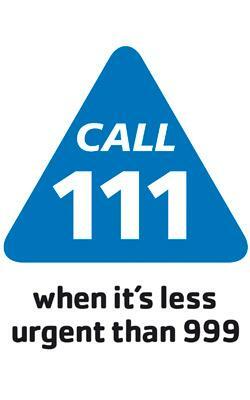 In urgent cases that cannot wait until the next day please call 111. This is a freephone number from landlines and mobiles.